How do I access library databases from on- or off-campus? : Here's how! This simple guide shows you how to access the library's databases from anywhere with an Internet connection. 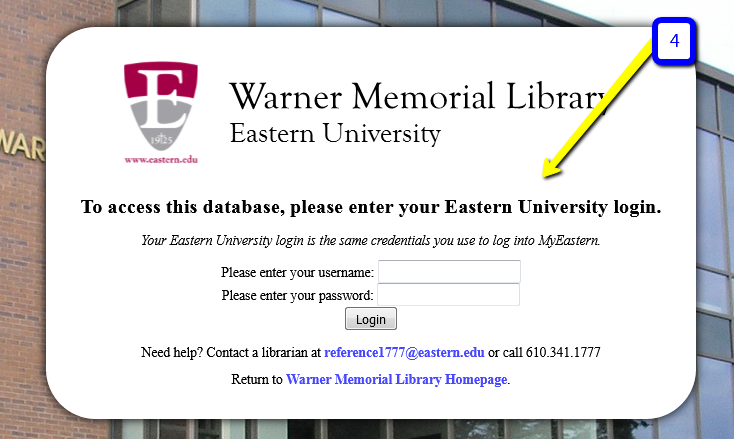 Step 2: Click on "Database"
Step 4: Login using your Eastern University login information. This was assigned to you when you began your coursework. 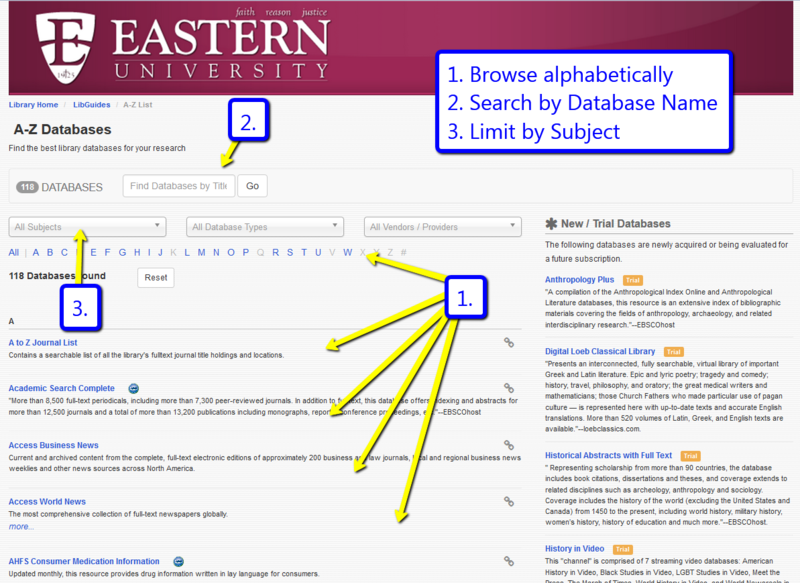 It is the same login you use for Brightspace (D2L), EagleMail, and MyEastern.